Formed in 2016, Hare o’ the Dawg was spawned from a common love of improvisational string music. 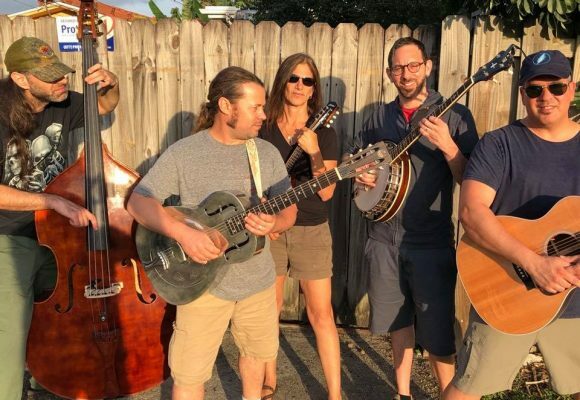 Drawing from old-time music such as swing, bluegrass and gypsy jazz, Hare o’ the Dawg has pleased crowds with original music as well as arrangements of tunes from the likes of Django Reinhardt, David Grisman, Jerry Garcia and anything with a bluegrass flavor. Most of the band are multi-instrumentalists, and instrument swapping is a common theme of our music. A tasty blend of non-gmo Americana string music sprinkled with hints of Bluegrass and Gypsy Jazz.